After a brilliant 2017, the frenchman is ready for the new season in OKJ. Among the results of last season, we remember the fourth place overall at the CIK FIA OKJ European Championship. Hadrien, are you ready for the season? “It’s a new challenge for my second year in the category . I already drove for Komsic when I won the Belgian cadet championship in 2016”. What o you think about Kosmic? 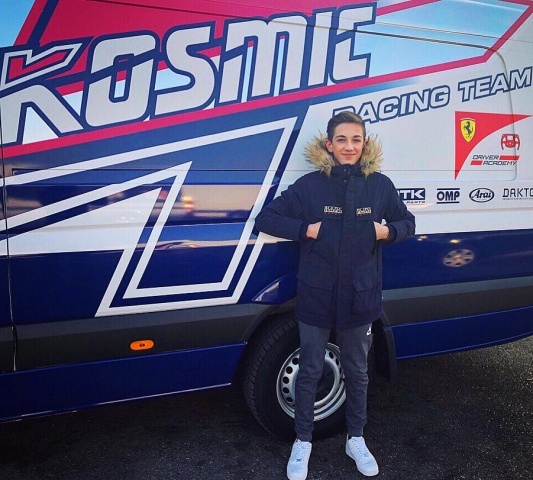 “Kosmic is one of the teams with a lot of titles: World Champion, European Champion, WSK Champion… hope we’ll get a lot together”. “My goals and dream for this season is the same, to have a huge title (World Champion/ European Champion...)”.